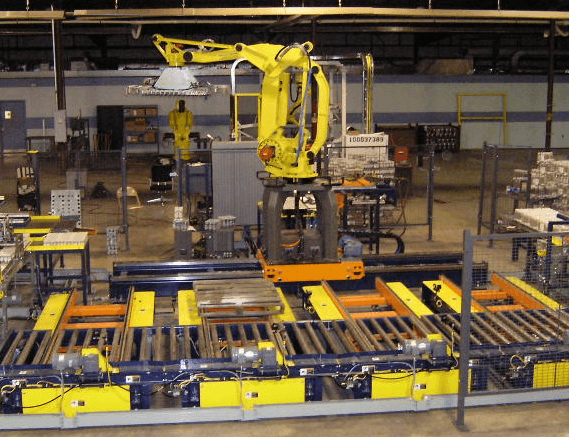 Drawing on over 20 years of engineering and robotic experience, Motion Controls Robotics provides quality robotic automation solutions for a variety of industries. Whether your company is large or small, we can create an automation solution to fit your needs. Motion Controls Robotics provides fully integrated robotic systems built to the excellent engineering standards you expect. Better yet, we respond to your needs quickly by providing fast and friendly service from project inception through installation and service. Motion Controls Robotics sets itself apart by providing excellent service and technical expertise to all of its customers. Visit our testimonials page to see what our customers are saying about us. Motion Controls Robotics works with Fortune 500 and small- to medium-sized manufacturers. Motion Controls Robotics provides a full spectrum of services to our customers so that the job gets done right the first time. In-house spare parts and service kits to allow quick response in the event of a down robot. 61,000 square foot build facility – Motion Controls Robotics Inc. operates in a modern, 61,000 square foot manufacturing and testing building located in the heart of the mid-west, Fremont, Ohio, which is accessible within a five-hour drive to a large portion of the manufacturing and warehousing industry in the Eastern half of the United States. Two truck wells and three grade level, 16” tall doors. We have the equipment to load and unload any equipment we manufacture and purchase from flatbed and drive-in trailers. 2,000 square foot flow through paint booth. Manufacturing is supported with a fully equipped machine shop and fabrication area. Advanced technology R30iB Demonstration robots for demonstration, training, and troubleshooting for handling customer supplied product. 2D and 3DL visions systems with lighting for development of potential vision applications. We have longstanding relationships with a close team of subcontractors who provide us with any additional manufacturing support we may need.